Discussion in 'Video Cards & Monitors' started by nope, Apr 17, 2019 at 4:36 PM. 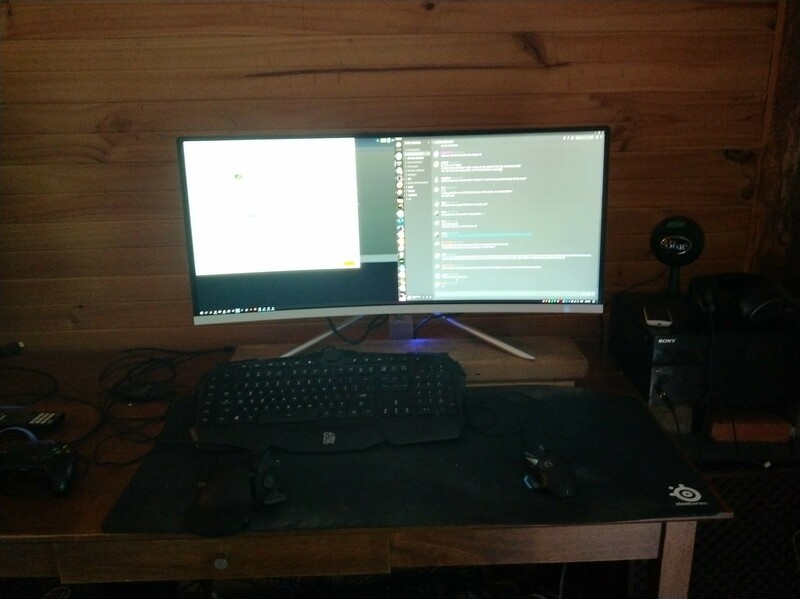 I got one as well, it's pretty good for the price, using as a secondary next to my LG 34" (34UC88). When you compare the colours of the LG to the Kogan there is a pretty clear difference, but for gaming at 100Hz it's great. color wise it aint bad for a va and doesnt have any of the dark banding smear problems the ips did in motion but yeah its a great gaming screen. I thought you were getting the Samsung? Kogan etc are generally older panels with lower standards. Plus a big part of a panel is the software behind it. Still, its a great price for what you get. Agree... would never buy anything from Ruslan Kogan. Yeah but I would guess input latency, ghosting and a ton of other common issues with monitor likely exist in your monitor. Its not like the big companies can completely avoid these issues as well, its just normally a lot less issues. Its too new for any actual reviews but I wouldn't bother looking at any when they come out. If you don't know about your monitor's problems, you are less likely to notice it!